Ron and Maggie Tear Photography: The Dome Station. Soon to be very busy, as the Dome is now 02 and the venue is finally being used to stage various events. Here I was trying low shutter speed as people walked past this advert. They now visit. 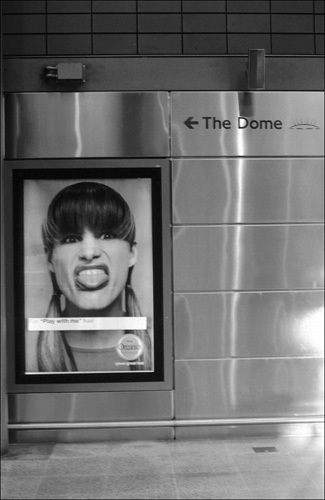 Dome Station, DLR, Docklands, London, UK.